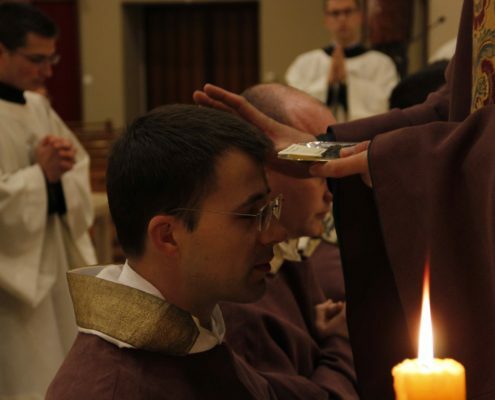 The seminarians in Évron have entered into Lent together with the whole Church on Ash Wednesday. 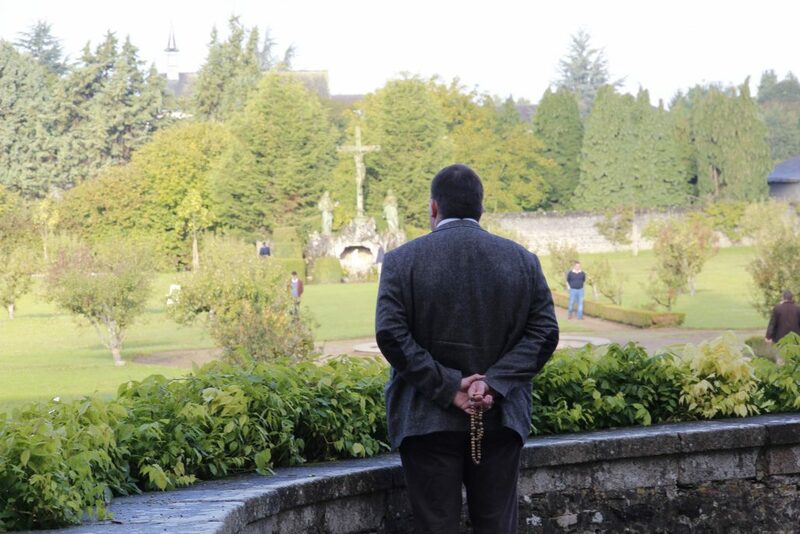 In a chapel deprived of its habitual ornaments, the seminarians began a day of fasting, prayer and silence. 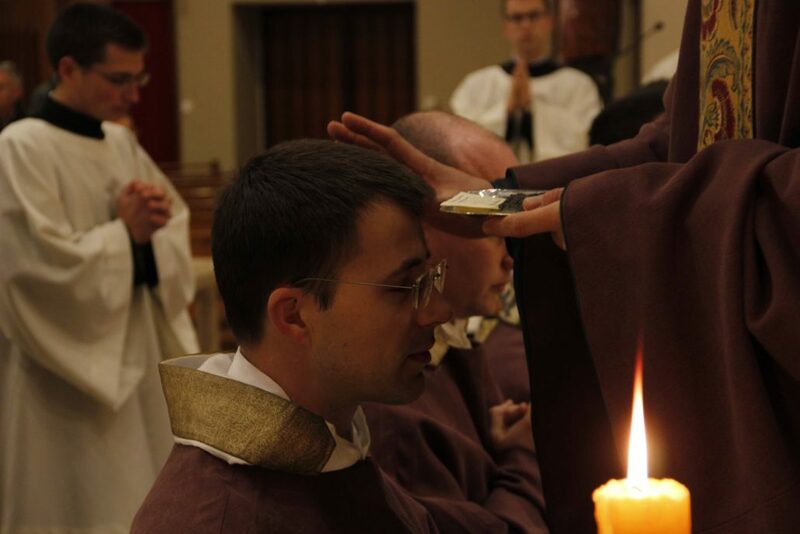 During the evening Mass, they received the ashes after a sermon by don Louis-Hervé about obedience, the theme of our Lent this year. 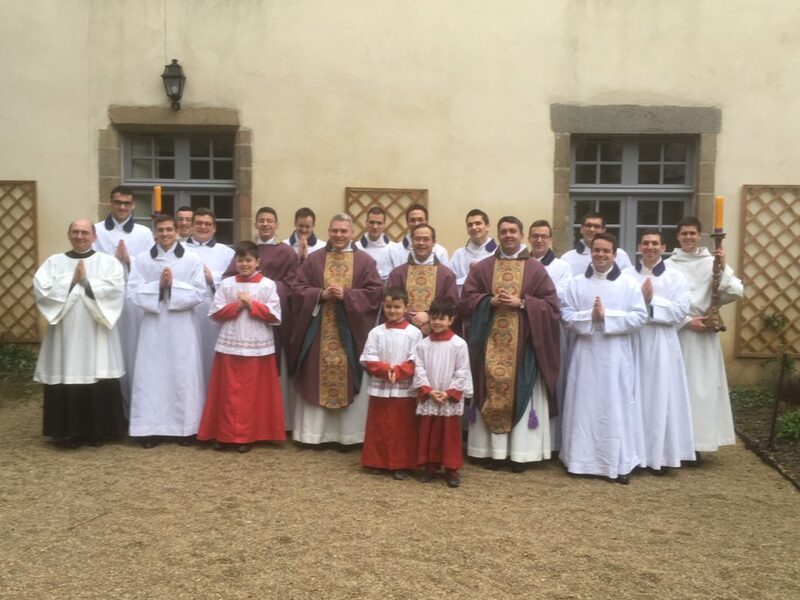 Lent in Évron is opened by a “desert day”, that is to say a day of solitude and prayer. 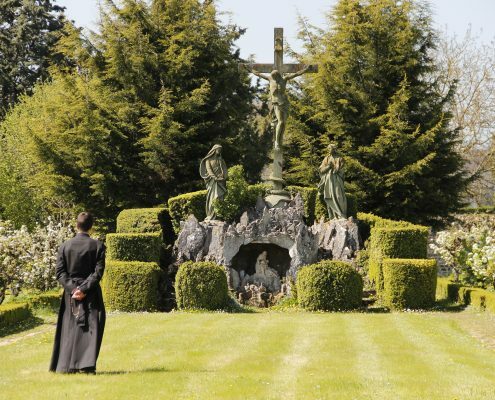 Launched by a sermon of don Augustin on the meaning of the desert, the seminarians left, each with a picnic, for a day in the Mayenne countryside. They met again in the evening for the conference by don Louis-Hervé. 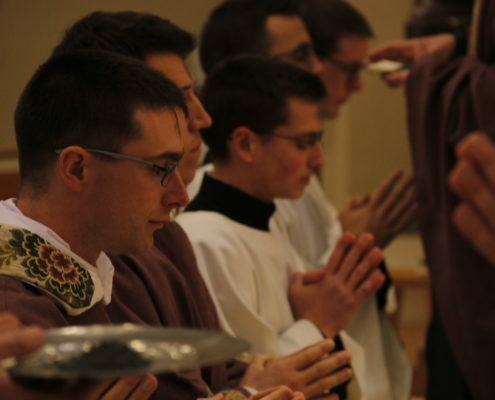 Among the spiritual exercises of Lent, the seminarians are invited to contemplate the obedience of Christ in the Gospel and to reflect on their own way of living the obedience. 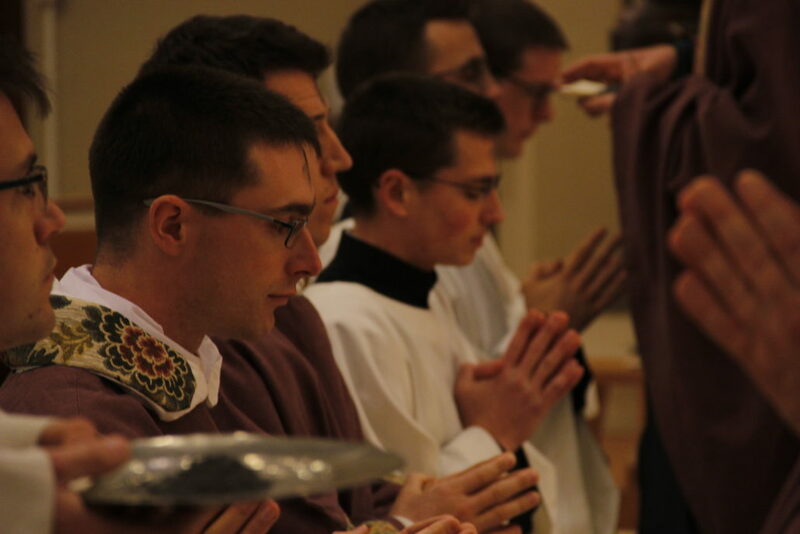 Furthermore, the older seminarians practice the exercise of the homily by, each one in his turn, giving a sermon every day at the refectory. 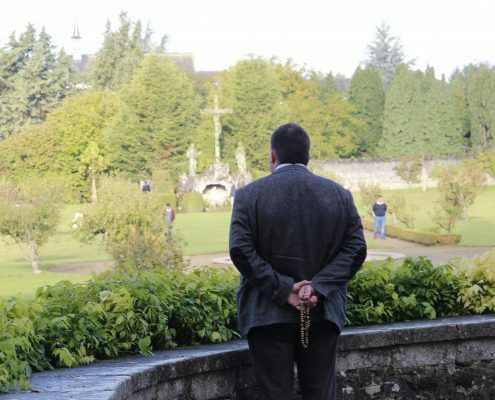 In the beginning of March, the priests responsable for the formation and the seminarians welcomed 120 youth to Évron for a week-end long retreat on the theme “How to live a Christian asceticism”. 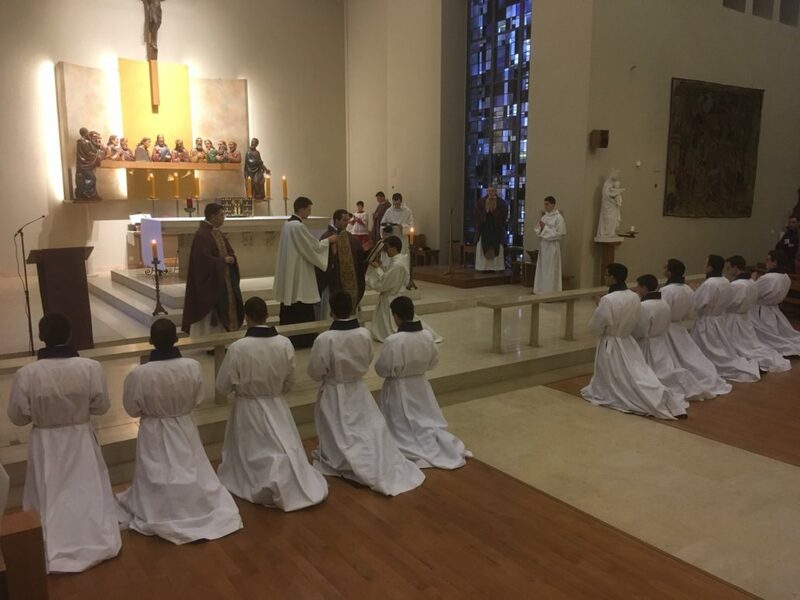 On the program: conferences by the priests (about asceticism, sobriety of life, chastity, prayer and confession), daily Masses and offices, adoration and confessions, and meals shared with the seminarians. 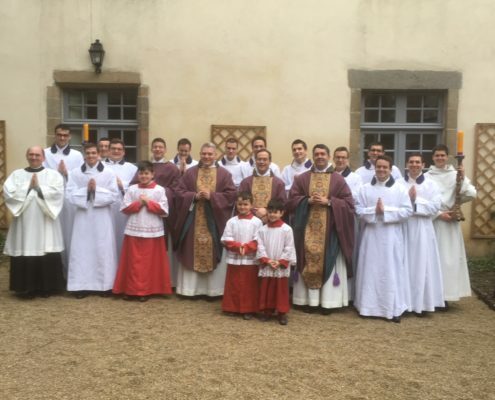 During Sunday Mass, don Paul Préaux, General Moderator of the Community of Saint Martin, instituted 11 seminarians of the fifth year as lectors: Vincent Morandi, Etienne Renard, Jean de Reboul, Théophile Bonnasse, Charles Hastings, Félix-Henri Bouquet des Chaux, François de Villeneuve, Louis-Gabriel Eschbach, François Doussau, Nicolas Benedetto and François Reynes. 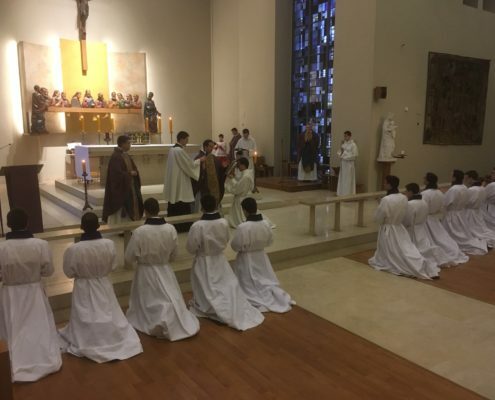 In his homily, don Paul Préaux exhorted them to cherish the Word of God in their daily prayer and to serve it with an always greater zeal.